Since I only see most of my students once a week, I have to think ahead when it comes to holidays. It suddenly struck me that we are in the middle of January, and I haven’t given thought to Valentine’s Day, yet. So, I culled together a bunch of resources to offer to you in advance. 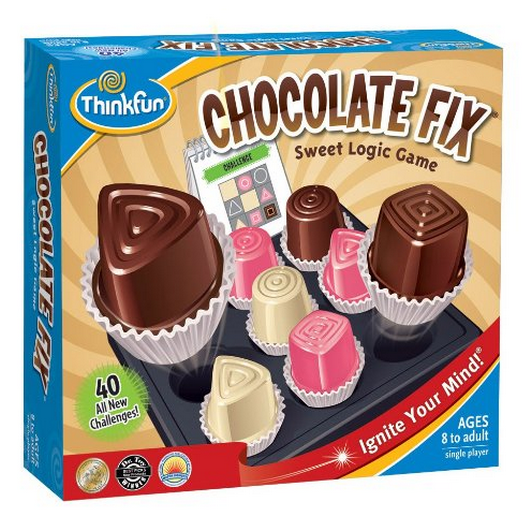 Chocolate Fix – If you want to give your students a gift that does not include a sugar high, put this game at a center. Another one of ThinkFun’s great products, this logic game can be played independently or in small cooperative groups. Order now to get it in time for February! So, if you are looking for another Cardboard Challenge to energize your kids (or didn’t get the chance to participate in October), here is a cool idea for a Valentine’s Day Box Project from Amanda at One Extra Degree. UPDATE 1/15/15: If you want even more ideas for Valentine’s Day, check out this year’s post!